How to paint kid zombie character concept art tutorial. This tutorial continues from the previous How to draw kid zombie post yesterday. Again, I am trying to diversify my design since I have always design a more realistic characters at work and for my clients. Even though you like drawing and painting stylized or more cartoon or caricature characters. The best way to study and practice is to go back to the root. The basic foundation of these designs base on real people or animal. Disney artists have always been great at life drawing as far as I know. So if you really want to be great and draw cartoon for living, then you must attend life drawing session regularly to horn your skill. Here is a final kid zombie quick character concept. 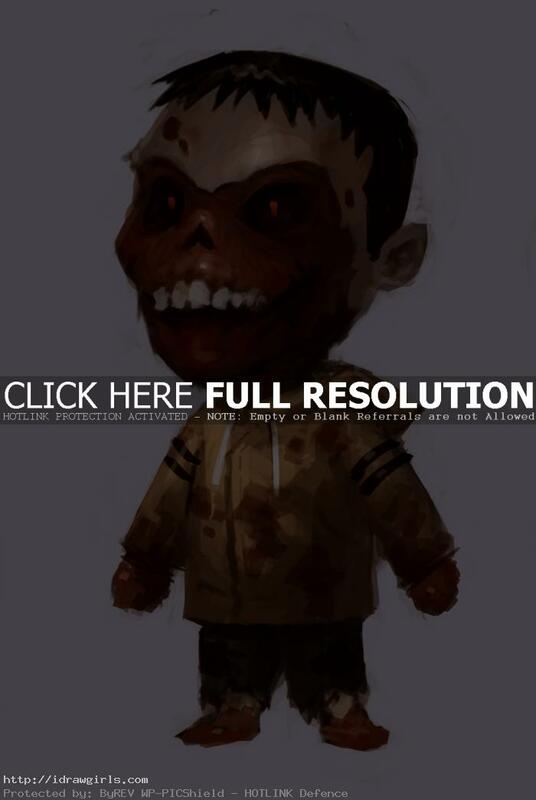 Watch video tutorial, how to paint kid zombie in Photoshop. 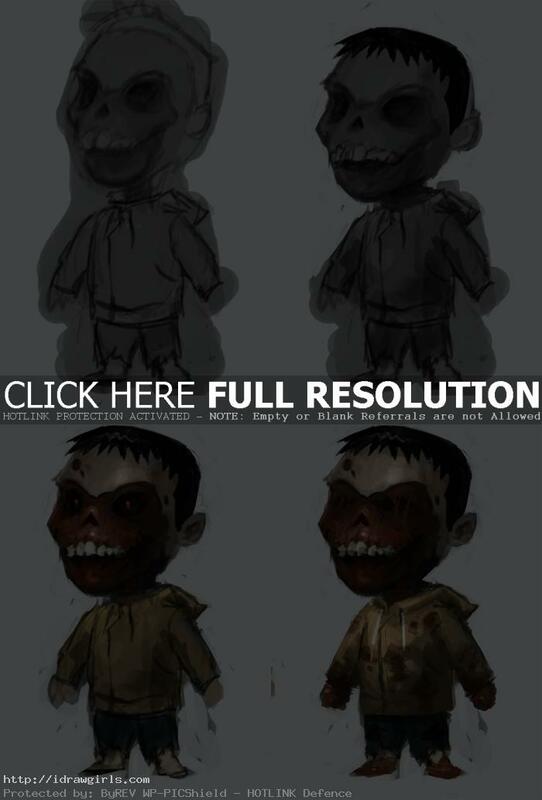 Below are step by step how to paint kid zombie character design. First, I usually get the lighting or value in place using grey scale first. It is easier to manage. Once I have that then I apply color over it using overlay, multiply and normal layer property.